Reckless Driving Questions & FAQs | Manikas Law LLC box to schedule a free, no-obligation consultation with former Fairfax County prosecutor and Fairfax Virginia reckless driving speeding and reckless general defense lawyer that has handled 1000's of cases on both sides of the system in Fairfax County. We will analyze your Fairfax case from the perspective of a former prosecutor who has an inside understanding of the Fairfax system you face. Will a Reckless Driving Result in the Loss of My Security Clearance? One of the most common questions we receive from clients that work for the government or a government contractor to the Department of Defense (DOD), CIA, or other government agency, is whether their reckless driving case will cause them to lose their government security clearance. There are really two separate questions at play: will the clearance itself be revoked, and if not, will access to a particular site or building be lost. The government determines both initial and continued eligibility for a security clearance under the Adjudication Guidelines for Determining Eligibility for Access to Classified Information, which were issued pursuant to Executive Order 12968. For each of the above categories, there is a 2-part inquiry – (1) identification of what concerning information exists with respect to a particular applicant, and (2) what mitigating factors are present in a person’s life to balance against the potentially disqualifying information. When someone is charged with a crime, the adjudicator must make a determination whether that the person continues to be an acceptable security risk by engaging in this balancing test. When this balancing shows evidence of unreliability or untrustworthiness, the person’s ability to work in a secure environment and have access to classified information can be curtailed or revoked. 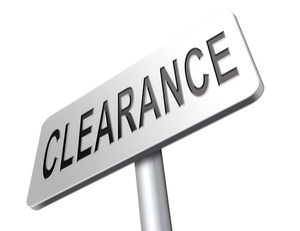 Sometimes a clearance may be unaffected, but access to a particular building may require the absence of any criminal convictions. In this situation, a person would no longer be able to go to their place of employment if convicted. If this is in fact the case, it is important to document this as it is something that may help, along with other mitigating evidence, convince a prosecutor or judge to reduce your case to a non-criminal/non-reckless infraction. It is also critical for you to know what your particular disclosure requirements are. Merely being charged can often trigger disclosure requirements on your part. Sometimes the act of not disclosing a pending charge can be more damaging than the underlying offense itself because it is looked upon as an act of dishonesty. The best approach is to make every attempt to avoid the criminal conviction. If you have a security clearance and have been charged with reckless driving or other offense, contact Manikas Law by calling 703-556-0004 or using our Contact Us page to schedule a consultation. Kyle Manikas, a Fairfax Virginia Reckless Driving Defense Lawyer will analyze your Fairfax reckless driving case from the perspective of a former prosecutor who has an inside understanding of the Fairfax system you will face. What Happened In a Recent Case Where the Accused Driver Did Not Hire You? the satisfaction of past clients. This is not to say that just because an attorney is the most expensive he or she is the best. There are some attorneys that may try to price gouge. This is dishonorable and shows from the outset the attorney intends on putting his interest above yours. Generally, discount attorneys cost you significantly more in the long run. (read about a recent example). If you are faced with a criminal charge, like Reckless Driving or DUI/DWI, there is a lot at stake. You should hire the best attorney you can afford. Manikas Law tries very hard to quote a reasonable rate. Our objective is to charge what is necessary to allow us to spend enough time on your case to get the best possible result. Regardless of whether you retain the services of Mr. Manikas, you should never make a decision on what attorney to hire based on price alone. Shop for an attorney, not the cheapest price. Cheap attorneys are cheap for a reason (remember the four components noted above that make up the price). Moreover, cheap lawyers need to serve a very high volume of clients to make money. Serving a high number of clients means that the attorney will be extremely busy and have little or no time to spend on your case. This is why they can blindly quote you a fixed fee - they are going to spend the same minimal amount of time on every case regardless of what is required and regardless of the result. If the rate sounds too good to be true, it probably is. If you have a reckless driving, DUI, or other criminal charge contact an experienced Fairfax Reckless Driving and DUI Defense Lawyer at 703-556-0004 or use the Contact Us box to email. What is Reckless Driving by Speeding? Many people are shocked to learn that Virginia has criminalized simple speeding. What does that mean? In Virginia, if you are traveling at a speed 20 MPH over the limit or above 80, you can be charged with a criminal offense. Not just any criminal offense, but a Class 1 misdemeanor. In Virginia, that is the most serious of the 4 levels of misdemeanor offenses. The next offense level up would be a felony. Reckless driving is punishable by up to 1 year in jail, a $2,500 fine, and a 6 month license suspension. Some people treat this as a glorified speeding ticket and that is a HUGE mistake. If you are convicted, you will have a permanent criminal record with the FBI for the rest of your life. This is different from a DMV record. A reckless driving will drop off of you DMV record in Virginia after 11 years BUT it will never come off of your NCIC criminal record. You will be a convicted criminal. Learn more about what it means to be charged with reckless driving by speaking with an experienced Fairfax Virginia Reckless Driving Defense Lawyer. Call 703-556-0004 or use the Contact Us box to schedule a free, no-obligation consultation. Kyle Manikas will analyze your Fairfax case from the perspective of a former Fairfax County prosecutor who has an inside understanding of the Fairfax system you will face. What Kinds of Issues Can be Raised in My Reckless Driving Case? Every case has different facts and circumstances. Therefore, there is no comprehensive list of issues that that will be of value in every Virginia reckless driving case and, in fact, there are some cases where there are no legal or technical issues available to use. However, there are some basic issues that should be reviewed in every reckless driving case. Each has been separately written about on this site and the links are provided below. While the above issues should be reviewed in any Virginia reckless driving case, the best approach to take, after having reviewed any technical issues, is to make every effort to negotiate a favorable outcome with the prosecutor. Before this negotiation can take place you must engage in and gather as much mitigation evidence as you can so that your lawyer can use the mitigation evidence in negotiations. An experienced reckless driving lawyer with the proper experience in the county where you are charged can tell you what the prosecutors like to see. Not every case can be negotiated down, but an attorney who regularly handles cases where you are charged can give you an idea of what the chances are. Trial always remains an option, but it is something that should be pursued only after all other options have failed. The reason for this is that in Virginia the legal deck is incredibly stacked in favor of the prosecutor. As of 2013, the Virginia Court of Appeals held that an officer' visual estimation of speed alone is proper lay person opinion and is sufficient, by itself, to find someone guilty beyond a reasonable doubt of a speed related offense. This gives you some sense of what we are up against in Virginia. For an honest and straight forward assessment of your case, call a former prosecutor and Fairfax Virginia Reckless Driving Defense Lawyer that has handled 1000's of reckless driving cases on both sides of the Fairfax, Virginia system you will face at 703-556-0004 or use the Contact Us box to to schedule a free, no-obligation consultation.